The beautiful thing about learning is nobody can take it away from you. We all have idols. Play like anyone you care about but try to be yourself while you're doing so. Thank you for your interest in the Delta Blues Festival/Dave Williamson Memorial Scholarship. Below are some guidelines which can help explain the process. We only accept electronic applications. Good luck! 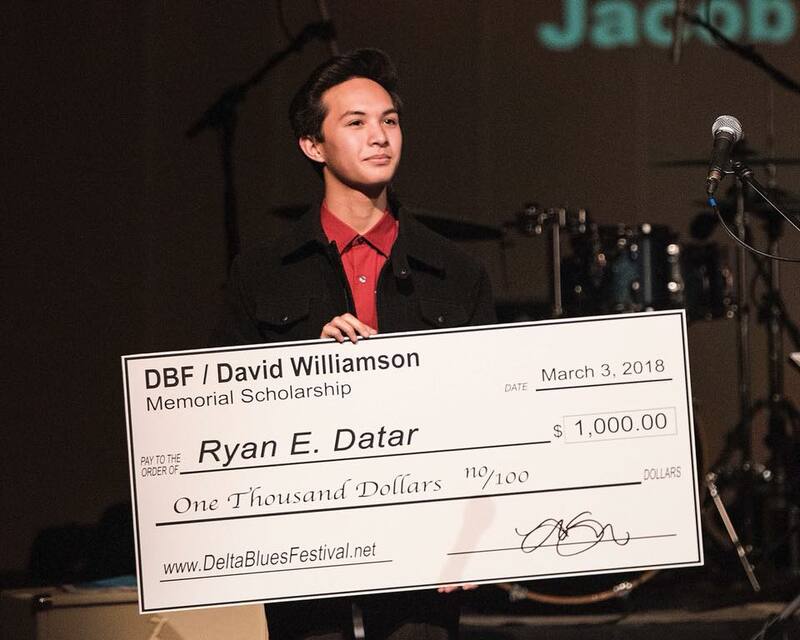 The purpose of the DBF/Dave Williamson Memorial Scholarship is to allow the festival and all involved, to do their part to help further the education of a graduate of an East Contra Costa County High School in their collegiate or vocational studies. Each application will be anonymously discussed and reviewed by a group of DBF volunteers along with representatives of the El Campanil Preservation Foundation, to decide the submission which best deserves the scholarship. Applicant must be an East Contra Costa resident. Applicant must have a commitment to continue musical studies. Their personal affiliation with the style of music they enjoy. Note and explain their career choice and how they see music involved. How music affects their life. 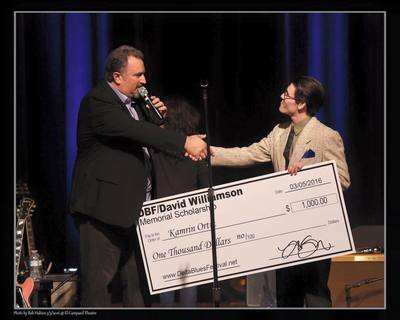 How they will benefit by pursuing an education including or devoted to music. Submit any support and commitment to non-profits and/or volunteer organizations. Submit a link to a video recording (YouTube, Vimeo, etc.) of applicant’s personal talent (playing an instrument, singing a song, or both). The song can be a cover of another artist or one can provide a copy of an original piece of music written by the applicant. The committee will gather and discuss the applications and decide which applicant best deserves scholarship. There is no need to contact the DBF to understand the progress of one's application. All applicants will be notified via email of the outcome. 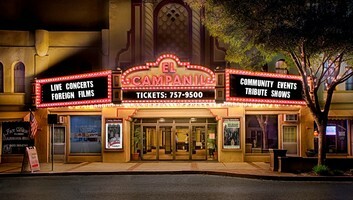 Formal announcement will be held at the Delta Blues Festival Benefit Concert, at El Campanil Theatre. The funds will be paid directly to the college that will be attended. 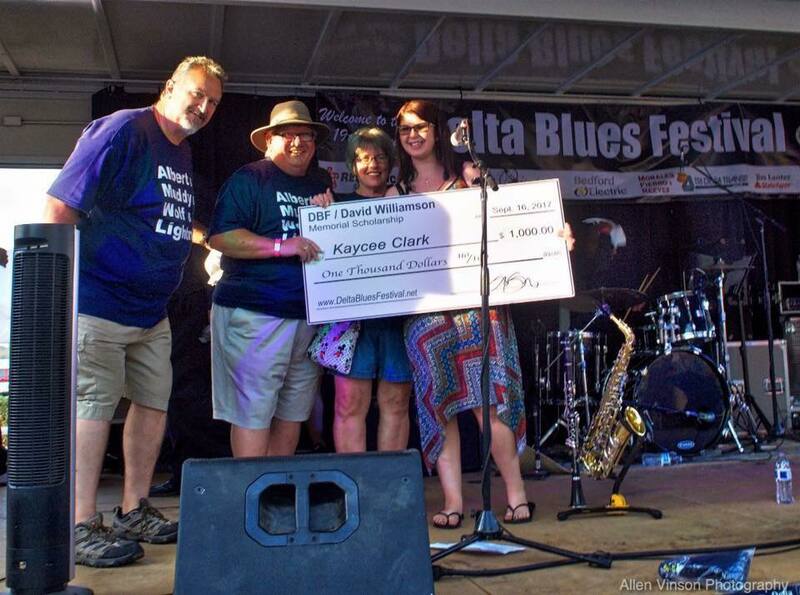 Scholarship amount varies from year to year and depends upon sponsorship support to the Delta Blues Festival. 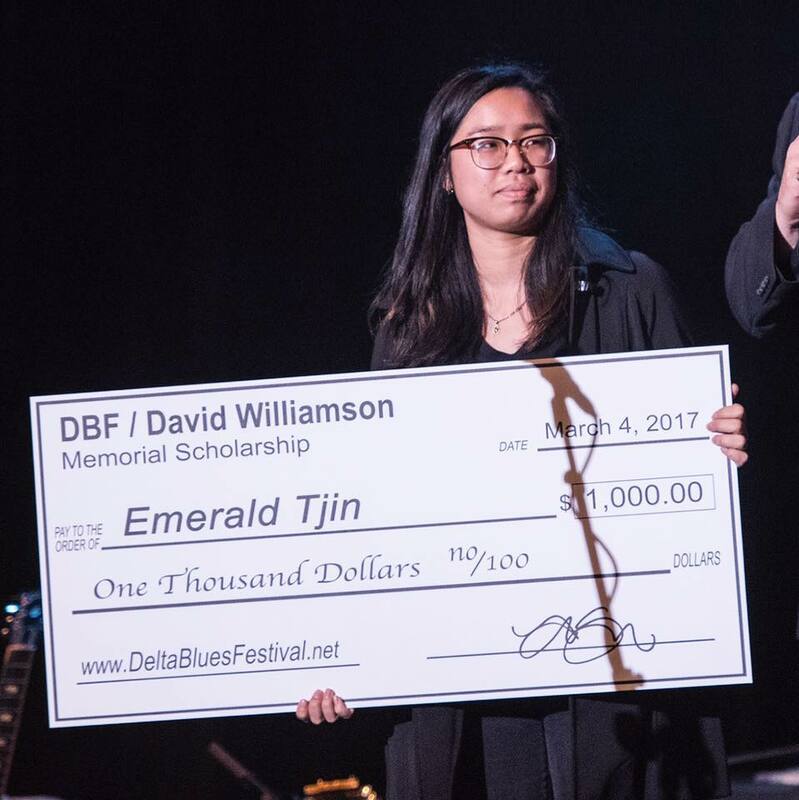 On behalf of the Delta Blues Festival Committee, El Campanil Preservation Foundation, and the Williamson family - we look forward towards hearing from you… good Luck!